Smart home hubs are very popular these days among homeowners who want to make their typical residence into a “SMART” one. The last ten years of advancements in home automation technology have definitely made home automation much more feasible and practical, with smart home hubs flying off the shelves in most stores these days. But what is a smart home hub, anyways? Before you purchase one for your house, you must first understand its purpose, and more importantly how it works and would benefit your daily life. As the name implies, smart home hubs are devices that coordinate all the different smart appliances in your home. Having one means you do not need to use separate remote control for each of your devices, as you can already control all of them at once either by using an app on your smartphone or through voice command. Therefore, if you already have invested in a few smart home gadgets such as refrigerator, thermostat, and air conditioner, then you should consider buying a smart hub to control them altogether effectively – and remotely. In result, the right smart home hub will not only make your daily routine more manageable, but it should also allow you to experience the real smart home experience you have always wanted. In the market, there exists a plethora of different smart home hubs that can control a wide variety of household appliances. Some of the most popular ones are those from brands such as Wink, Logitech, Veraplus, Samsung, and Insteon. With the number of makers to choose from, it is critical that you know the things look out for in order to ensure that you purchase the one compatible with your smart home appliances. The compatibility rating of a smart home hub mainly depends on the protocol it uses. This means that having a Samsung SmartThings does not mean that you now have one hub to control all your appliances. Most hubs require appliances to be compatible with the protocol – or in layman’s term – the language they are using to connect all these appliances together. Some of the widely used protocols are Zigbee, Z-Wave, Wi-F0, Bluetooth, among others. However, there are hybrid smart home hubs that are equipped with all the protocols and software needed to integrate virtually all smart appliances out there. Such smart hubs include Wink Hub 2 and Samsung SmartThings. Regardless, since the industry has not established a single standard protocol yet, and you want to achieve that ultimate control you always wanted, then it is more practical to buy a smart home hub that supports as many protocols as possible. Many homeowners start their home automation journey with the purchase of a smart home hub and add devices to the smart home system incrementally. If you are planning to get in on the trend, you should consider following the same approach, so you have a basic specification for all the future appliances you intend to purchase. 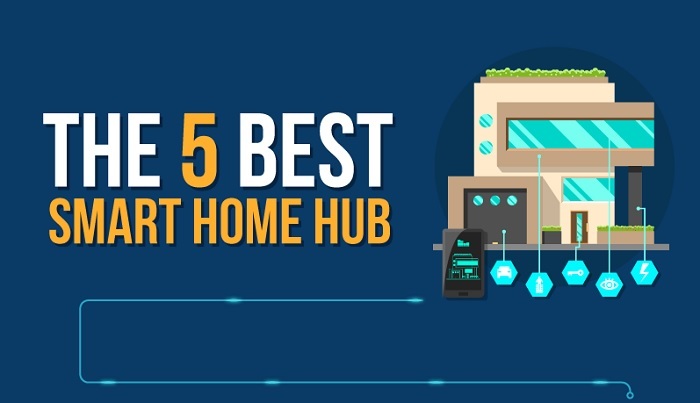 To learn more about the top smart home hub that is worth buying in 2019, check out the following Infographic from TechYourSpace.